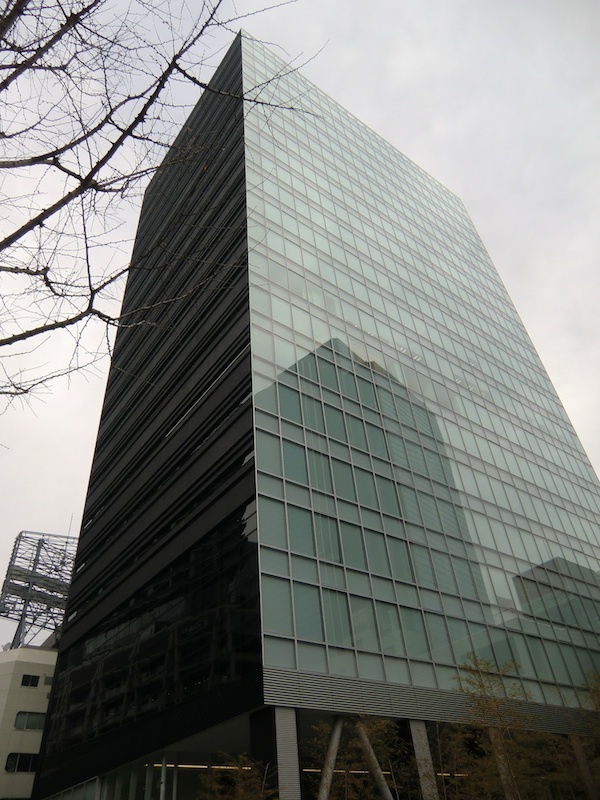 The Umeda Gate Tower, a 21-story office building located near Osaka Station, was completed two years ago, but it was only in the past week that the media has reported that the structure is flawed. Before that, the city of Osaka officially reprimanded the general contractor in charge of construction, Kashima Corp., which has since issued assurances that the building is totally safe. One of the primary vertical steel pillars on the third floor of the building is apparently 7 centimeters off the plumb line, meaning it is not perfectly perpendicular to the base. An unnamed sub-contractor realized the flaw before work on the floor was completed but did nothing to correct it. The company’s workers also failed to inform Kashima of the defect and then falsified the required documentation for the work. These documents were given to the building owner before safety checks were carred out. Eventually, one of the men who worked for the sub-contractor revealed the defect on the Internet, which is how Kashima and the city of Osaka first found out about it sometime in the fall. Kashima says it carried out an inspection and concluded that the defect does not in any way compromise the structural integrity of the building. The media, however, did not report the story until Dec. 15, by which time the controversy was mostly over. Most of the stories, in fact, did not even identify the building, and none of them analyzed what a 7-centimeter tilt to a third-story vertical pillar means in terms of safety. We just have to take Kashima’s word.